Unusual in design and a practical gift that can be used every day. 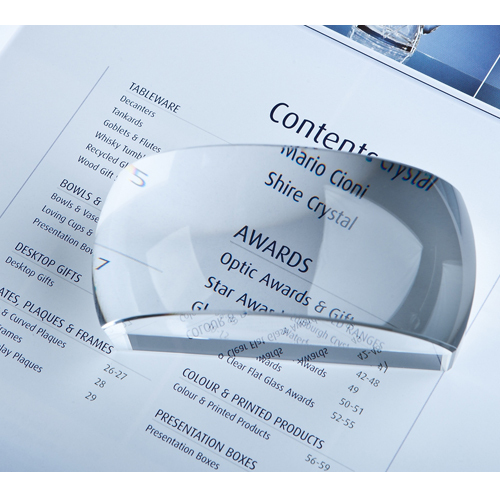 The unique 8.5cm optical crystal magnifying paperweight is an ideal gift to get your company contact details onto you customers desk. The paperweight can be sandblast engraved on the front face with any crest, logo or wording and be used as a desk paperweight, it's also very handy as a magnifying glass to read small text or print.